Mike Turton and Brad Paquette have taken the challenge to read The Art of Power together and utilize some information retention strategies. We are looking to enhance our knowledge bank, as well to improve our communication and delivery of our newly acquired perspectives. Jefferson was raised to wield power. He hungered for greatness. Jefferson loved to create. His love of gardening displays this. Gardening requires the discipline to stay committed. Creating a plant from a seed is the ultimate project. I really think gardening shows a lot about ones character. The TLC required to cultivate a plant. Learning the different life cycles, tending the plant - weeding and watering, ensuring it has the proper amount of sunlight all of this leads to the most important part- the gratification of enjoying the fruits of your labor. TJ spent countless hours studying and believed in working hard. The thought of being indolent disgusted him and this drove him to spend 15 hours a day studying. He also believe in being physically active, something consistent with the values of our CG. "You're a product of your environment"
Jefferson surrounded himself with great minds, this is turn, pushed him to be his best and ultimately led him to his presidency. Our CG can relate to this, as we all have great minds and are looking for ways to improve and motivate each other. His style of leadership and charisma was much different than his politcal counterparts. 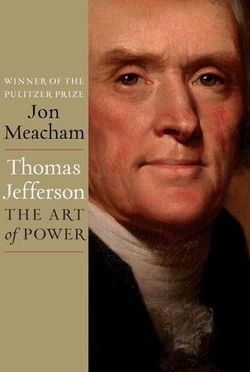 While others would use their voice and overbearing strength to gain the respect, Jefferson used his excellent listening skills to build relationships, and people took notice. TJ tried to mold the conversations to what the other person was most passionate about and he tried to share that passion and joy, what a great way to connect with people! Jefferson gathered funds from private sources to make a key river navigable. This river was integral in transporting goods and was one of his first times "bending the world and his surroundings to fit his own needs." The process to undertake this project is remarkable. He had to 1) Pitch his idea to the investors 2) Have the confidence and faith that this project would improve the lives of the investors 3) Have deep relationships where the investors would trust him with their money and know he would complete the job 4) Complete the job. Obviously, there is much more to that project, but these are a few highlights that truly amaze me.